Hyperica, my home grid. The gates are still not updated, and visitors complain about lag, but its home sweet home to me. I don’t usually go around telling people what the best grids are. I run surveys, or I punt the question and just say, “What ever grid works best for you” or “Your own private grid” or something like that. The thing is, everybody is looking for something different. Some people want a big community, others want content protection, others want freedom to travel the hypergrid and save backups of their inventories, and still others want to keep things private just for themselves and their friends, students, or employees. How can you get all that on a single grid? Sounds impossible, right? You’re either hypergrid-enabled or you’re not. You either allow exports and backups, or you don’t. Welcome to the new world of hypergrid filters. 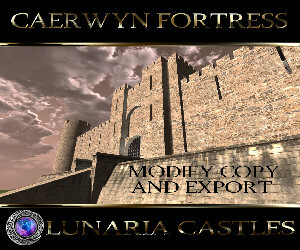 Last October, Spellscape became the second grid after Kitely to filter content for hypergrid travelers. The following are the seven main commercial grids that have filtering in place. None permit self-hosted regions to connect or allow residents the kind of “God powers” that lets them change permissions on content. The active user numbers are either today’s or the most recent available, and include hypergrid visitors when available. Private grids can also have filtering, and many do, hosting companies tell me. But I don’t know what those grids are because they’re private. This means that those local residents who are allowed to travel the hypergrid, can travel. External visitors who are allowed to visit, can visit. And content creators can decide whether they want to allow their content to leave the grid or not, simply by setting the appropriate permissions. For this approach to work, content creators need to be informed right up front which combination of permissions will allow content to leave the grid. While some grids set this to full perms, other grids use copy-transfer. There’s also the experimental new “export” permission. Customers also need to be informed, before they buy something, whether it will be allowed to leave the grid or not. Customers may choose to pay extra for exportable content, for example. Finally, self-hosted regions are definitely out. Self-hosted regions means that anyone can connect a region that they run on their own computer, or with a third-party provider. And when you have your own region, it means you can access the region’s database and can do absolutely anything you want with the content on that region — change creator names, change permissions, export content, and so on. Do I have anything against self-hosted regions and the open grids that allow them? No, I love them. 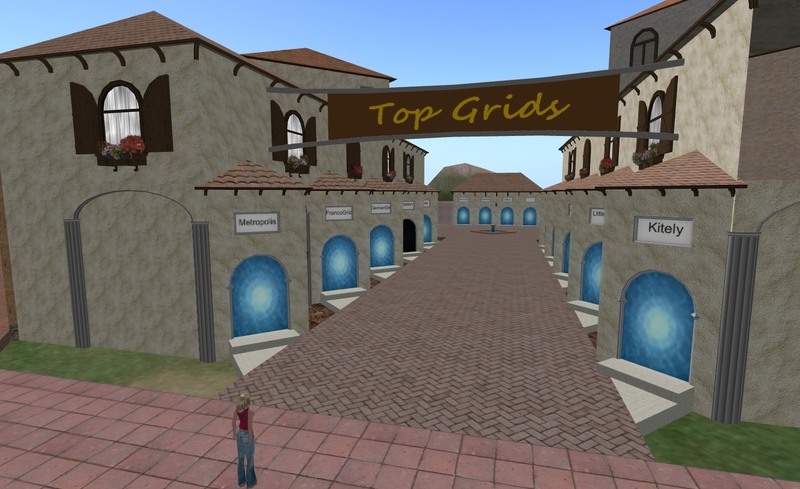 Some of my favorite grids are open grids — OSgrid, Metropolis, FrancoGrid, Craft. But those grids are not for everybody. In particular, they are not for people who want to be able to decide what happens to their content. Outbound content: You can restrict content with certain permissions from leaving the grid, or restrict all content of certain types — such meshes or scripts. The settings are in Robust.ini files for the central OpenSim grid services and in the GridCommon.ini for each region. You can also restrict inbound content, but why would you want to? If people can’t bring stuff in, they can still upload it — all you’re doing is making it less convenient and annoying users. OAR region backups: If your users want to save a copy of their region, you can make sure that only their personal creators and allowed exportable items are saved by following the instructions here. For example, to only allow full-perm items to be exported, use the console command save oar –perm=CTM filename.oar. Kitely donated this code in 2011. IAR inventory backups: Similarly, you can restrict non-exportable content from being saved in IAR inventory backups, by following the instructions here. For example, to save only copy-transfer items, use the console command save iar –perm=CT Avatar Name /* password filename.iar. Spellscape donated this code last fall. Outbound appearance: You can allow users to take their appearance with them to foreign grids, regardless of permission levels, by setting RestrictAppearanceAbroad = false in the [EntityTransfer] section of the configuration files. Or you can set it to true and prohibit users from taking their appearance with them, but, to keep them from showing up as Ruth, you should set AccountForAppearance = “Test User, Astronaut Smith” or something like that to provide them with travel-safe appearance options. Hypergrid inventor Crista Lopes added this functionality in 2012. Inbound travelers: Follow these instructions to ban individual hypergrid visitors. 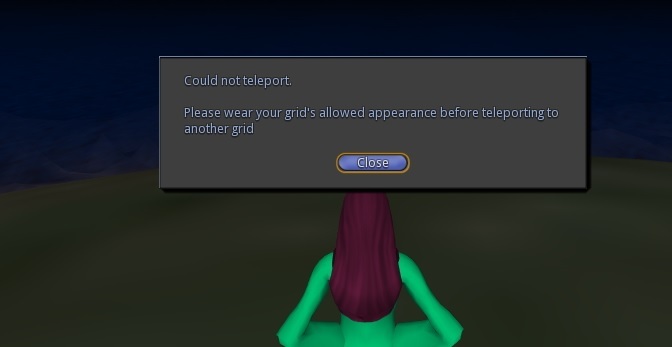 Follow these instructions to keep out all foreign visitors, while still allowing local users to travel the hypergrid. Here are the parameters to edit to keep out visitors from particular grids, or to allow in only visitors from particular grids. 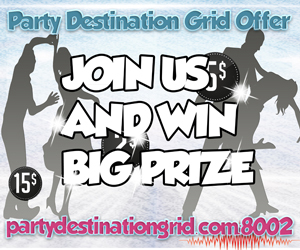 Outward bound travel: Follow these instructions to keep particular users from traveling to foreign grids. This functionality was donated in 2012 by OpenSim hosting company Dreamland Metaverse. So, for example, you can use the Robust server command set user level <firstname> <lastname> <level> to set different levels for the students and the teachers on your education grid, then allow only the teachers’ user level to travel the hypergrid. Kitely Market: With thousands of items, the Kitely Market is currently the leading online marketplace for the hypergrid by a very wide margin. If a grid has hypergrid enabled, then in general all its users can buy content and have it delivered to their local avatars without any additional configurations needed on the part of the grid owner. 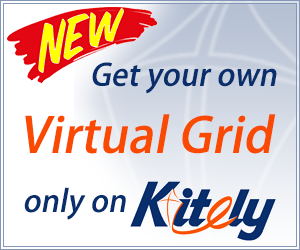 However, grid owners can choose to not allow Kitely Market deliveries — and also, owners of closed grids can choose to permit Kitely Market deliveries without enabling hypergrid, and the instructions are here.